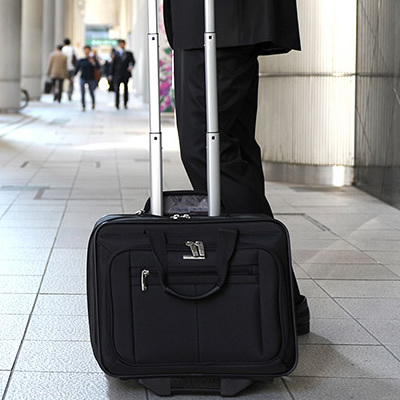 There are a few rolling briefcases or suitcases on the market today that are designed specifically for short trips for businessmen. However, some of them are too big that it cannot be taken on flights as a carry on or they are too small so not much can be stored. The Samsonite Classic Overnighter Rolling Briefcase (model number 43876-1041) solves this problem with its overnighter compartment yet keeping the size of the briefcase compact enough to take on airplanes as a carry on. This article will review just how much this briefcase can store and whether it is tough enough to handle what is stored. Large Overnight Compartment: Ideal for taking on short business trips which can also be used as a carry on. Effortless Mobility: There are two in-line skate wheels which allows you to easily pull the briefcase along instead of carrying it. Adjustable Handle: The metal handle can be adjusted to any of the 3 desired heights and locks in place with the push button lock. Padded Laptop Compartment: The padding will protect your laptop and the Velcro strap will prevent it from falling out or moving about. Cannot Fit Under Airplane Seats: Unfortunately if the briefcase is filled up, it will not fit under the airplane seat. 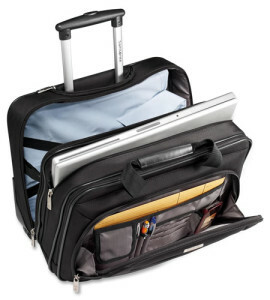 Dimensions (inches) 16.5" x 13.25" x 8"
Samsonite is well known for their durable and sturdy luggage so it is no surprise that this Classic Overnight Rolling Briefcase is made from strong ballistic nylon. 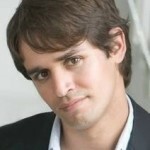 It has a professional and business like look that shows the user has good taste. It only has 2 rear wheels, but the telescopic handle can be hidden to transform it into a handle carried briefcase. For an overnight briefcase, it is a good compact size measuring at 16.5 inch in width, 13.25 inch in height and 8 inch in depth. It is made with two wheels and a ‘stopper’ at the bottom of the suitcase which helps the briefcase to balance when stood upright. This will prevent the briefcase from falling forward even when it is bulky and overfilled. The briefcase can be used with the extendable handle which has 3 heights it locks to with the push button lock. It can also be collapsed and hidden into its own zippered compartment. This is convenient for those who wish to carry the briefcase instead. It keeps the professional and business look going on. To carry the briefcase instead, there is a carry handle which is comprised of two nylon handles. One is stitched on at the front and the other at the back then sewn together at the top and wrapped with a padded cushion which makes it easy to carry. This ensures the weight of the briefcase is evenly distributed to prevent damage or tearing. Although the size of the Samsonite Classic Overnighter is fairly compact, unfortunately, it will not fit under some airline seats. However, it can be stored in overhead storage on airplanes so it can be used as a carry on. This makes it ideal to take on short business trips. The handles are wrapped and padded making it comfortable to carry even for long periods of time. Due to the size, it is easy to carry around as well as you would not be hitting yourself or people by accident with a large briefcase. The only thing that would make carrying the briefcase uncomfortable is if it is overfilled which will make it heavy. At this point, it would be easier to use the extendable handle to roll the suitcase along instead. Luckily, the wheels roll smoothly along which ensures the noise level of a rolling luggage will be kept to a minimum. Unfortunately the briefcase does not come with a shoulder strap nor does it offer the same multi-directional movement that a 4-wheel spinner offers. At the front of the briefcase, Samsonite has designed what they call a ‘quick stash front pocket’ to store items you will need to get to quickly. It is also big enough to fit a tablet. However, there is only one zip in this pocket which means it cannot be locked. The compartment at the front has small pockets stitched in to hold pens, phone, cards and letters. The compartment behind has two divider sections to hold documents and files. Both compartments zip down to half way. In the middle of the briefcase is the laptop compartment which has a padded pocket with a Velcro strap to secure your laptop in. It is designed to fit laptops up to 15.6 inches but many people were able to fit a 17 inch laptop in easily. There are also 3 pockets on the other side for plugs and cables to go into which will prevent any tangled wires. The back compartment is designed to store clothes for short business trips or overnight stays. It comes complete with straps to compress clothes down and there is an elasticated pouch on one side to keep your toiletries in. It zips all the way down and will open at a 90 degree angle making it easy to pack clothes in. Although the overnight compartment is for clothing and toiletries, some users have found that they cannot fit anything too thick in. Anything that can be fitted in will be creased especially if the briefcase becomes full. Each compartment closes up with two zips but as the holes are too small, these cannot be locked unless the padlock has a thin wire. 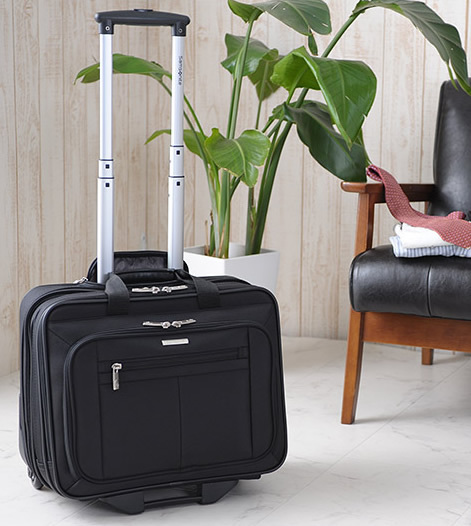 Compared to other similar Samsonite rolling briefcases, this Classic Overnighter can actually store more particularly in the overnight compartment as there are no extra pockets or dividers for other items in this compartment. This makes the briefcase more suitable for businessmen who often travel on short business trips. However, as with many other Samsonite briefcases, it is best not to overfill the briefcase otherwise it will be harder to zip up and can cause damage to the zips as some people have found. Although the size is too big to fit under airplane seats, some people do not find this a problem as the briefcase can still be taken on board as a carry on which still saves them from having to check their luggage in. The price of this briefcase is fairly reasonable as it can fit all the essentials a businessman would need for short business trips instead of having to carrying several bags.